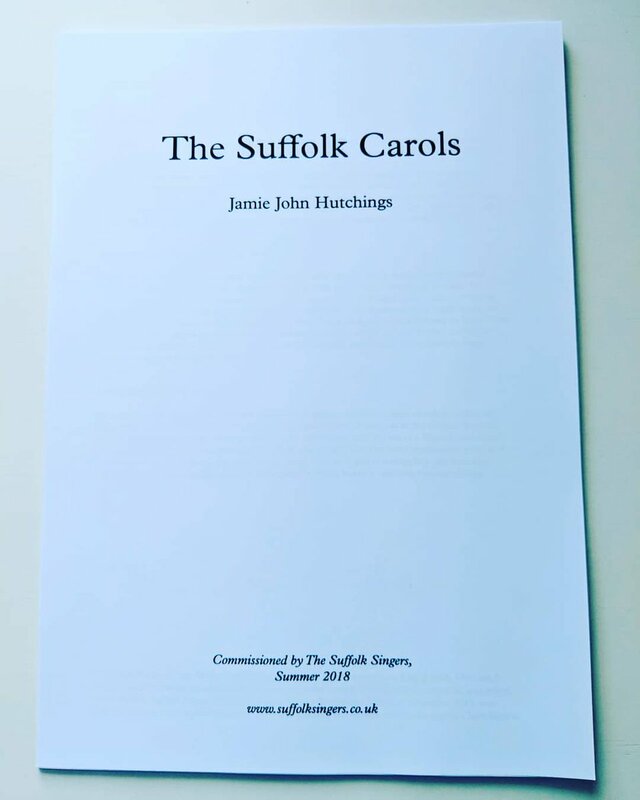 ​Opening with 'Once in royal David's city', we sang 'Here is the little door' by Herbert Howells, and then the first public performance of The Suffolk Carols by Jamie John Hutchings, which we commissioned earlier this year and used for our 2018 Choral Workshop (see below!). 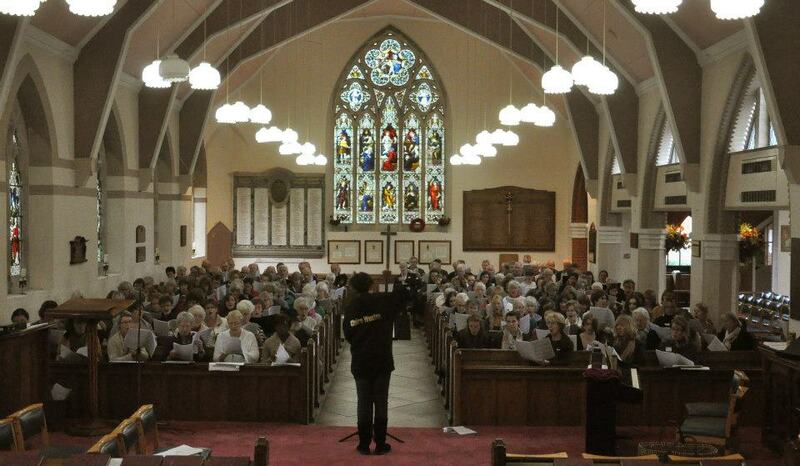 Suffolk Rock Choir treated us to some wonderful music, and there were reflections by those from the Alzheimers Society. With congregational carols of 'O Come all ye faithful', 'O little town of Bethlehem', and 'Hark! the herald angels sing' (all with soaring descants! ), the mood for Christmas was set, and we all went home looking forward to the festive season and having raised money for a very worthy cause indeed. On a bright, crisp November day, singers of all ages came to the Music Department of Woodbridge School for a day of joyous music-making! 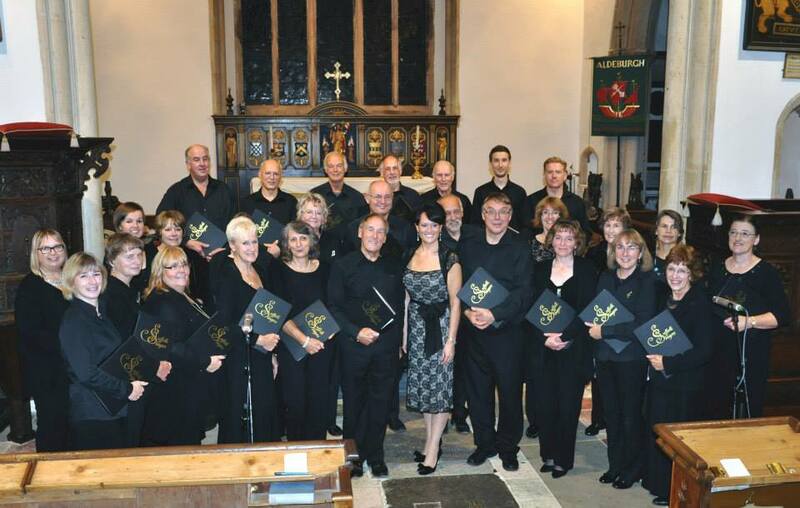 Each year, singers fill in feedback forms and we use it to improve the workshop for the following year. In 2017, our singers told us they wanted to work on technique, to study a smaller amount of music and to be able to achieve a polished performance of a whole piece or set of pieces by the end of the day. So we sat down with our long-time friend and East Anglian composer Jamie John Hutchings (John to us! ), and commissioned him to write something that would fulfil the brief. 3) Sing! Rejoice - a riot of fun, perfect for merriment! 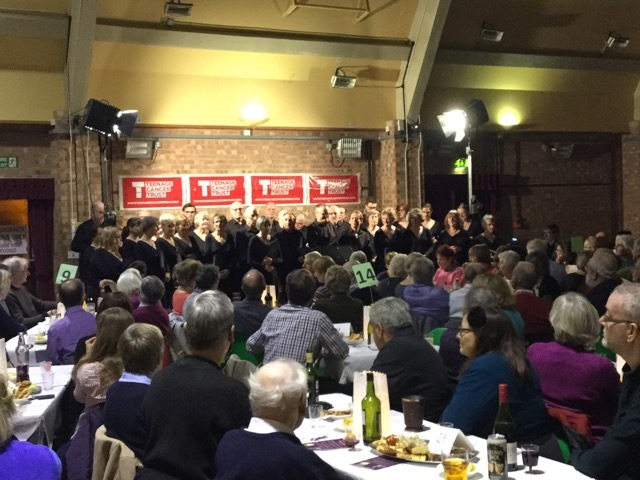 Our guests were joined by Suffolk Singers members, and also the Chamber Choir of Woodbridge School - all of us together had such a wonderful time, both socially and musically! The day started with a lesson on vocal technique from Claire Weston, followed by a useful session on how to approach a new score - looking for ways to make it easier, looking for anchor points and so on. With this knowledge fresh in our minds, we went into sectionals to first note-bash the pieces, then to focus on paying attention to note-lengths, phrasing and breathing, dynamics, diction, and key musical points, before coming back as a group to put the music together. Of course, before the end of the day, we took a break to eat cake! We're very grateful to those brilliant bakers who created such tasty nourishment before our final performance! What a wonderful time we had - we all worked really hard, and what a wonderful result! "Fantastic experience I learned a lot as well as having fun"
"The new format was great. I learnt a lot. I need to totally change my mouth position!" "Very well organised and I learned new techniques!" "Great discipline – good learning – very well organised day and most enjoyable. Thank you." "It’s been a great as ever – lovely mix of theory, practice, energy and ‘networking’, and so well organised and disciplined." 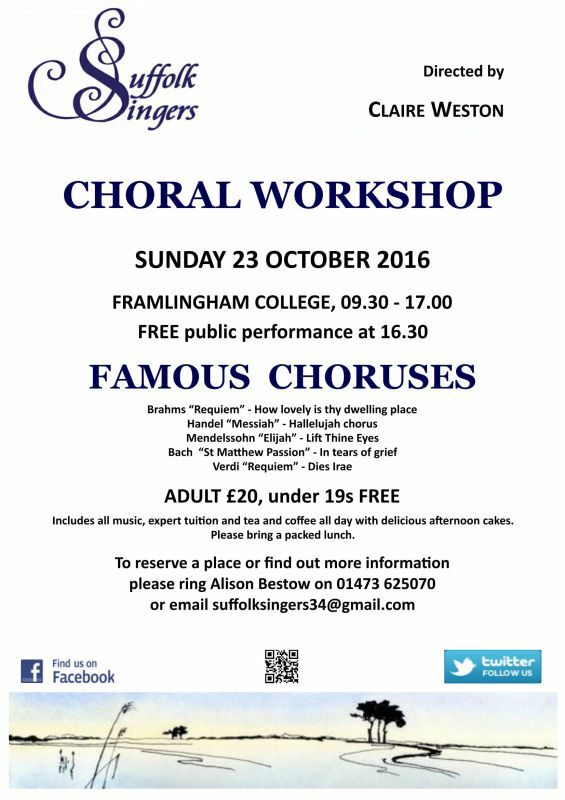 "​Excellent workshop I liked the ‘instruction’ as well as the singing." "Good to meet composer and hear what he said about his music. There was much energy and good cheer. Excellent." 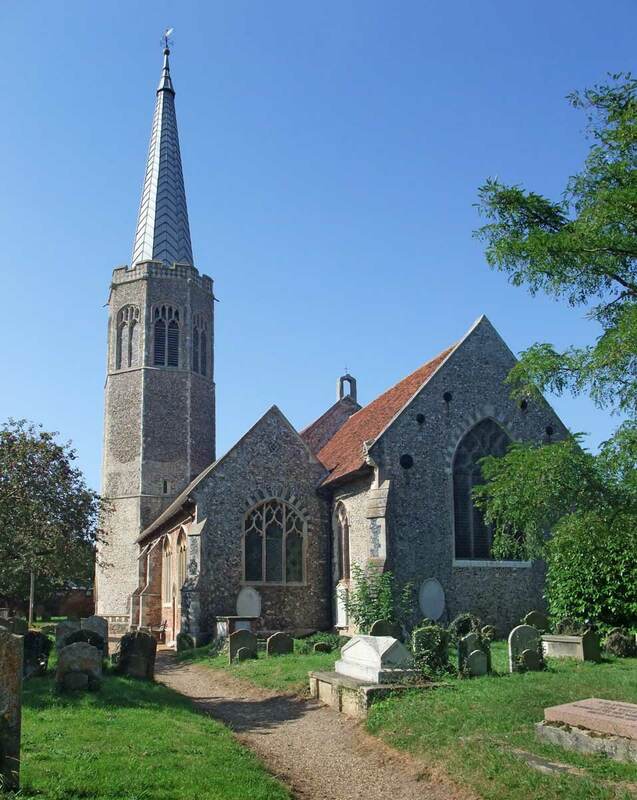 The Suffolk Singers Autumn 2018 concert ‘A Harvest of Song’ saw the choir back on familiar ground at St Michael’s Church, Framlingham, where they entertained a near capacity audience. The pieces also crossed a variety of genres, from the Three Antiphons of Hildegard of Bingen, especially composed for the choir by Jamie John Hutchings, spirituals (My Soul’s Been Anchored in the Lord by Moses Hogan), Stanford’s 100 mph Quick We Have But a Second, a bebop arrangement of Gershwin's Love Walked In, to Sting’s Fields of Gold. A real harvest of song! 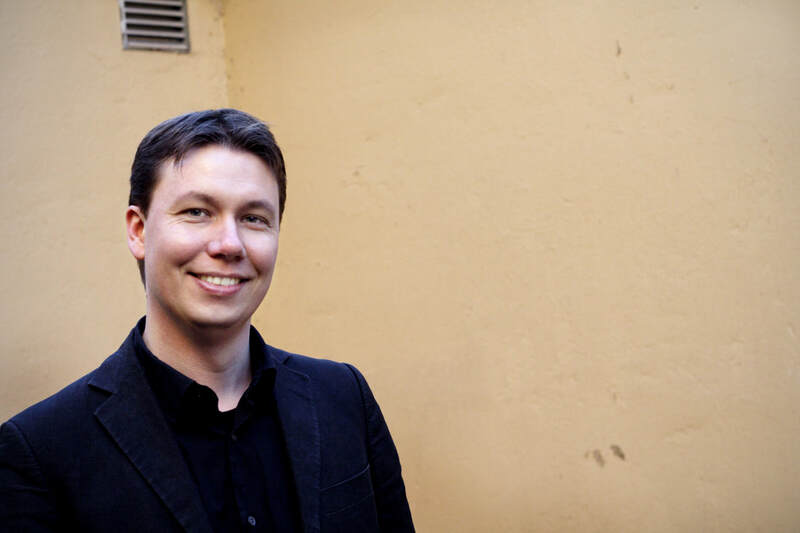 The repertoire ranged in time from the late 1500s (Hosanna to the Son of David by Thomas Weelkes) to present day composers Ola Gjeilo (Ubi Caritas), James Macmillan (O Radiant Dawn) and Arvo Part (Morning Star). 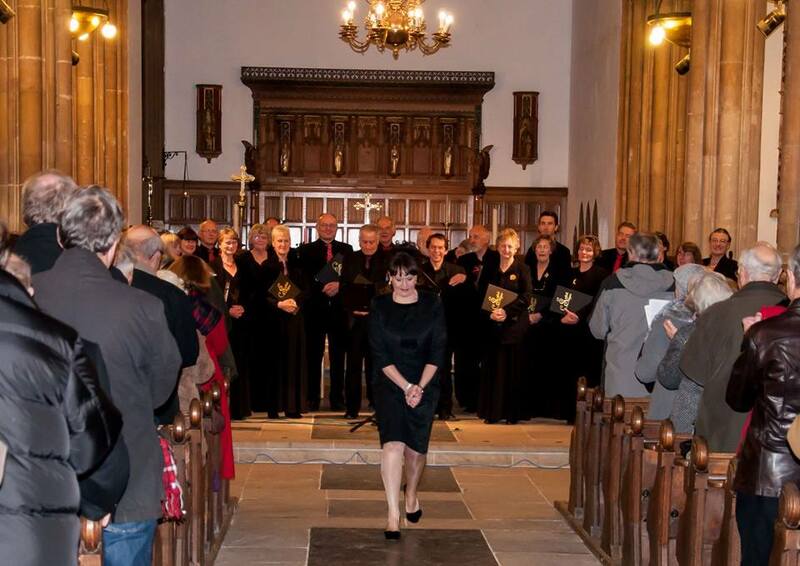 During the concert, the choir also performed a particularly moving composition, A Good Night written by Hutchings in memory of Janis Haerle, who was a member of Suffolk Singers from 2009 and who sadly died in January 2018. We spent the second May Bank Holiday weekend in Belgium! 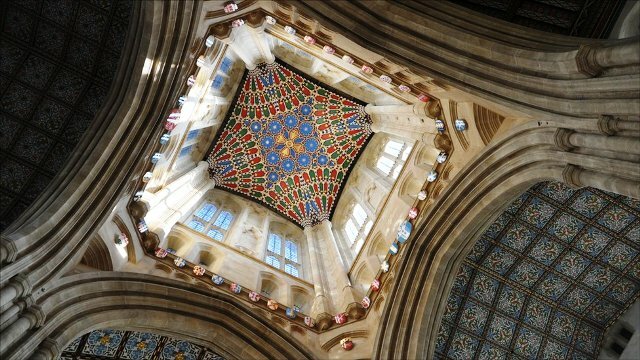 Staying in Ypres, we began with a concert on in St Martin's Cathedral, on the Saturday afternoon, with music by Weelkes, MacMillan, Copland, and Pärt. 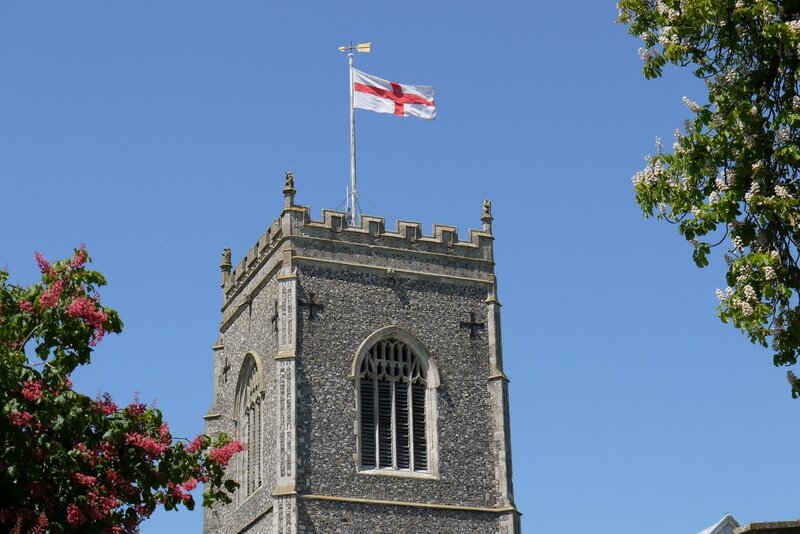 This was followed by an organ recital of music by British, French and Belgian composers alive at the time of Armistice, given by our friend Jamie John Hutchings, whose performance of Widor's Symphonie 6 led to a standing ovation throughout the cathedral. 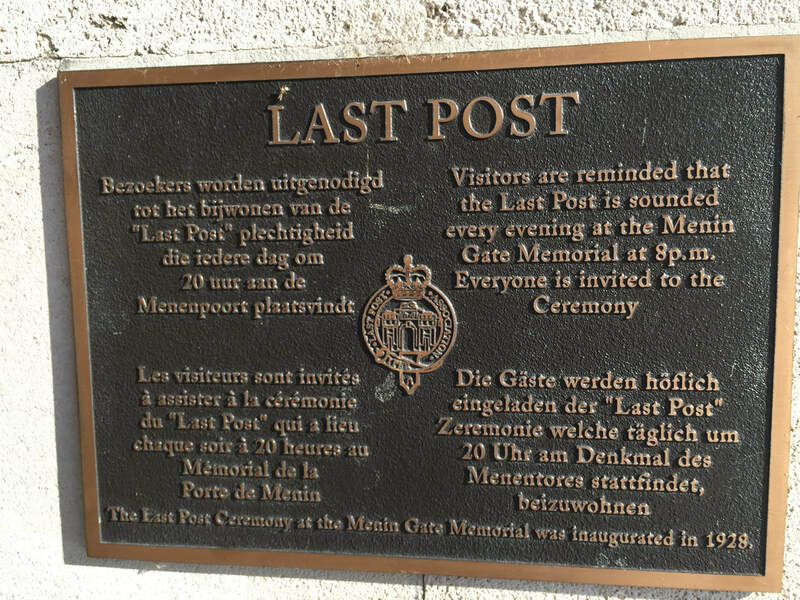 That evening we had the very great privilege of singing at the Last Post Ceremony at the Menin Gate; with a crowd of many hundreds, this was a particularly moving event for all concerned. 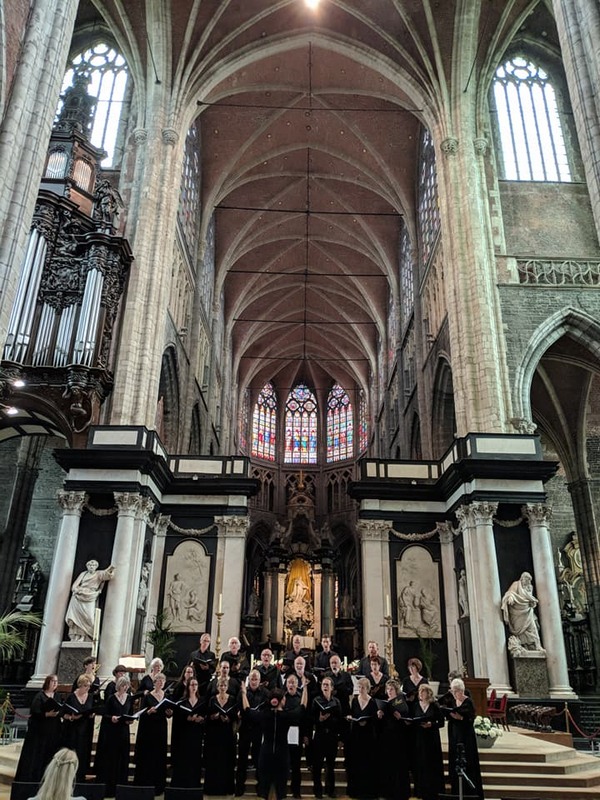 On the Sunday we journeyed to Ghent, and in the afternoon gave a recital in the vast space of St Baaf's Cathedral, including music by Mendelssohn, Gjeilo, Moses Hogan, and concluding with Finzi's magnificent "God is gone up", featuring the five-manual organ of the cathedral. All in all, we had a typically Suffolk Singers trip - great music, great friendships, and sharing our joy of life and music with our new friends and audiences in Belgium! Suffolk Singers were been invited to participate in a performance of Ola Gjeilo’s “Dreamweaver” and “Song of the Universal” at Carnegie Hall in New York City! 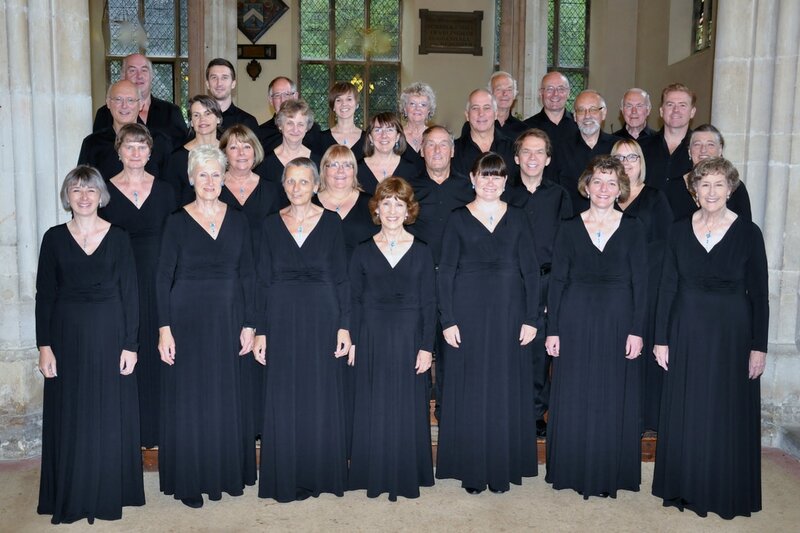 A member of the Program Development team at Distinguished Concerts International New York (DCINY), contacted Claire saying "I had the pleasure of listening to the lovely voices of the Suffolk Singers through YouTube (a beautiful performance of Gjeilo’s 'Ubi Caritas') and was impressed by the musical quality and most of all, the enthusiasm of your singers." On the strength of the recording acting as an audition piece, we received the formal invitation to join a limited number of choristers from around the world, to form the Distinguished Concerts Singers International, a choir of distinction. In consequence we are being offered a unique opportunity to perform in one of the world's greatest concert halls. 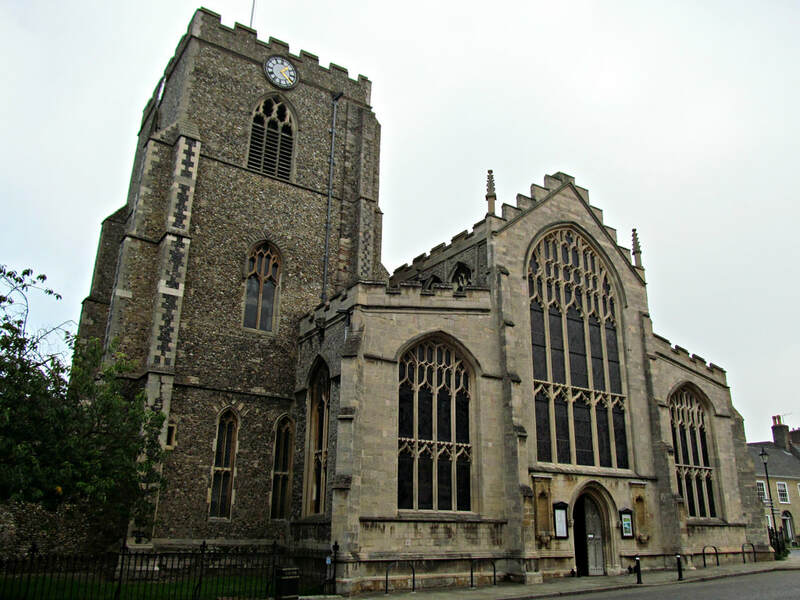 The Beast from the East was no match for the Suffolk Singers, nor for their audience! 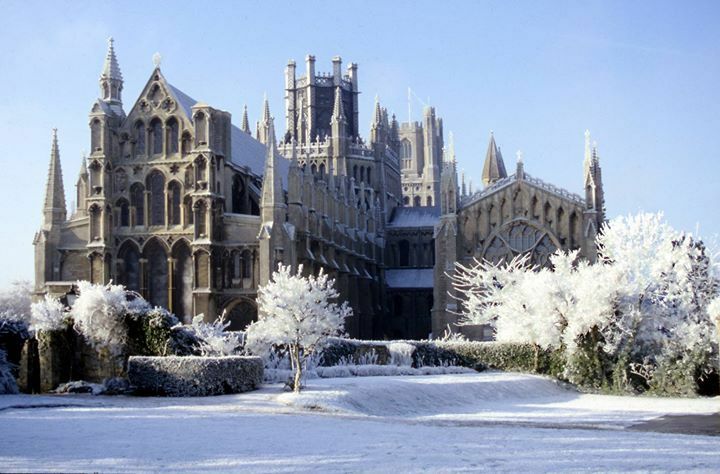 Deep in the snow, the cathedral looked quite outstanding, and after a generous lunch from the cathedral, the choir treated the audience to a rich programme of Rheinberger's Abendlied, MacMillan's O Radiant Dawn, Whitacre's Sleep, Gjeillo's Ubi Caritas, and a new Suffolk Singer favourite - Morning Star by the Estonian composer Arvo Pärt. 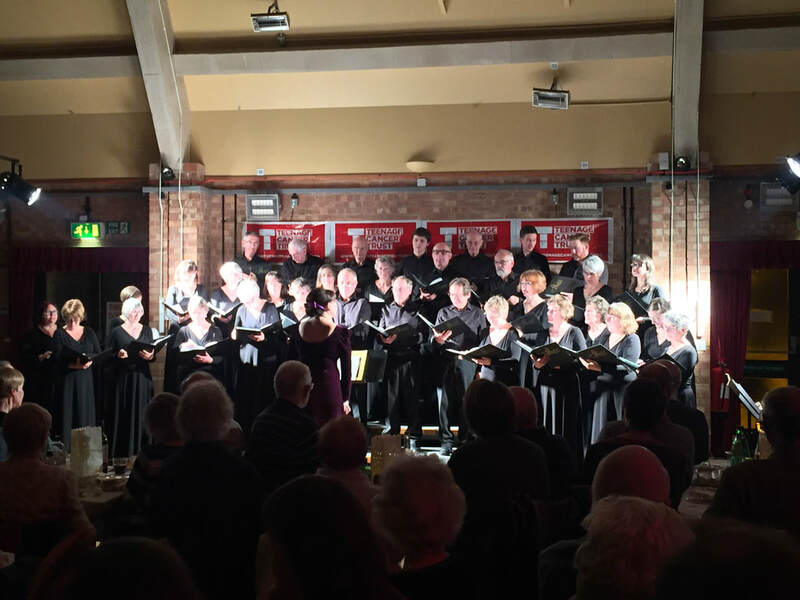 Our first concert of 2018 was our annual fundraising concert in aid of the Teenage Cancer Trust, and this year saw our fifth concert supporting this wonderful charity. The audience were treated to music by Franck, Stanford, Saint-Saëns, and movements from The Balaam Cycle, commissioned by former chairman Michael Balaam. The second half of the concert opened with an acoustic song from Will Bloomfield, of the band OUTLYA, called 1953, which is a song about Suffolk, and was very well received. A group of Claire's singing pupils from Thomas Mills in Framlingham, and from Ipswich and Woodbridge Schools, also delighted the crowds, especially with their rendition of Fly me to the moon. 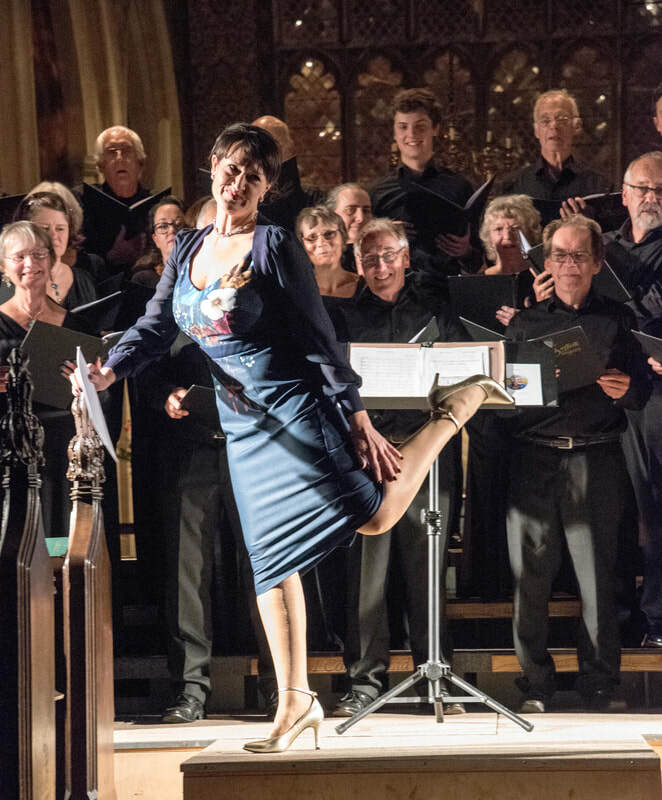 ​Having cheered the crowds with Spread a little happiness (including a Golden Shoesday moment from Claire), the concert finished with a rousing rendition of Moses Hogan's ​My soul's been anchored in the Lord. Harrison and John for accompanying, and as ever, to Claire! 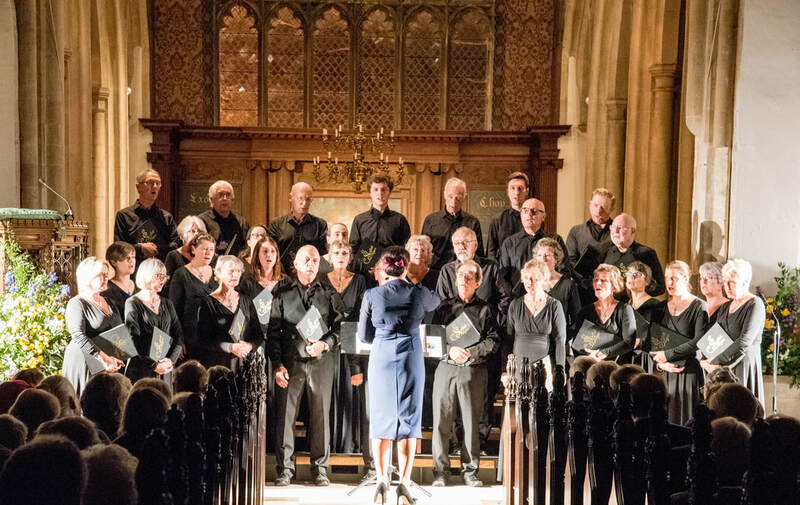 “Songs of Serenity” were sung unaccompanied, with grace, empathy and a perfect blend of their 28 voices." 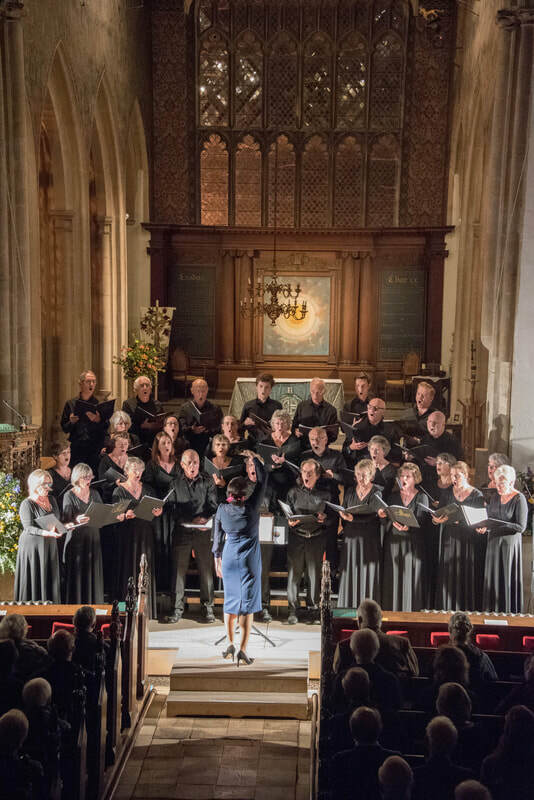 "Music Director Claire Weston’s attention to detail and sensitive direction brought the very best from her singers to Binham - a combination of music and place: so uplifting. It was a unique and very special, memorable occasion. Thank you to everyone." "Your singing touches the heart both emotionally and physically and that’s rare when listening to a choir. 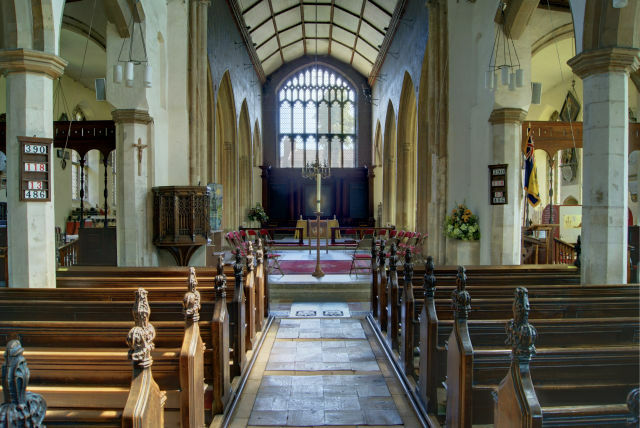 Happened at Binham for me." No seats left as we were joined by an appreciative audience for a summer's evening of music in one of the UK's most outstanding churches. The sun even came out in the first half and shone magically through the windows during a rendition of "Ave Maria". This meant that the doors could be opened and refreshments taken outside - it was a very special evening. 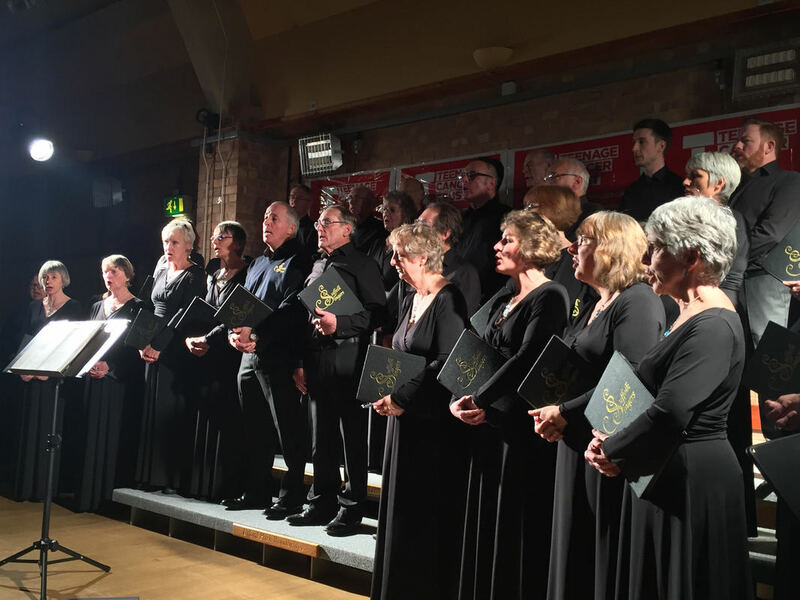 The programme included works by Dubra, Gjeilo, Hassler, Hutchings, Jenkins, Tavener, Simon and Whitacre as well as an "Ave Maria" composed by Suffolk Singers alto, Susan Wilkins. There were delightful contributions from the amazingly talented Gabriella Harvey as well as some lovely pieces performed by Claire's Young Songsters, including a particularly memorable South African Lullaby entitled "Thula S'thandwa Sam".